People suffering from diabetes are well nigh twice as likely to develop hearing loss issues. We are pretty much aware of the complication associated with diabetes, but a new study shows that diabetes also puts your hearing at risk. 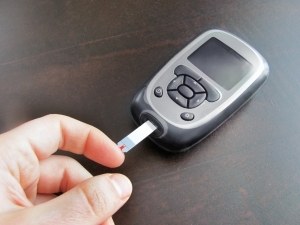 Diabetes can trigger vision problems, kidney failure and diabetic neuropathy. But how can it damage hearing? High blood glucose levels can damage the nerves and blood vessels in the inner ear diminishing the abulity to hear, says Chika Horikawa, RD, M.Sc of Niigata University, Japan. Japanese researchers have discovered that hearing problems are far too common in diabetic people than their healthy counterparts. What Type of Diabetes Affects Hearing? Researchers are still working on establishing a specific link between hearing loss and diabetes, which will need more research before they can parse out an exact connection. Earlier theories could not distinguish between type 1 and type 2 diabetes and hence it was not clear whether both types can cause hearing loss or not. 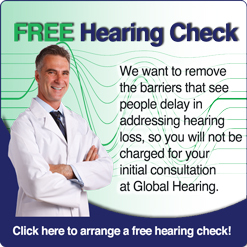 Experts, however suggest routine hearing loss test to detect any kind hearing loss. More severe diabetes is believed to hamper hearing ability even more. So, now there is another reason for you to be diligent about health care. Most people suffering from hearing loss, do not accept that they are suffering from hearing loss. If your friends, family members or colleagues tell you to turn down the volume of T.V or you feel that most of the people you speak to mumble, these are signs of hearing loss. You can take a simple Hearing Loss Quiz to determine whether you need to see an audiologist.